Pink Floyd was an English rock band that stood out for their psychedelic music that later evolved into progressive rock and symphonic rock. They were one of the most influential bands in the international rock music scene with more then 300 million albums sold worldwide. The original band lineup was: Bob Klose (guitar), Nick Mason (drummer), Richard Wright (vocals and keyboard), Roger Waters (vocals and keyboard), and Syd Barrett (main vocalist and rhythm guitarist). 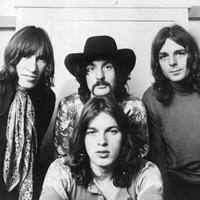 Syd Barrett was replaced by David Gilmore due to Syd`s excessive use of drugs and deteriorating mental health. Vote and help decide which Pink Floyd albums are the greatest. 17 Pink Floyd - Is There Anybody Out There?